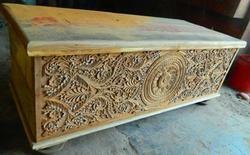 Assisted by consistent efforts of our dexterous workforce, we are able to provide Carved Designer Trunk. 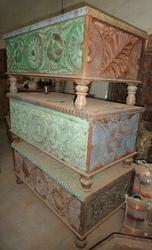 This trunk is checked by vendors quality experts for assuring its flawlessness. 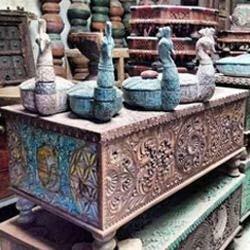 Offered trunk is manufactured by vendors workforce using best quality material in compliance with market norms. 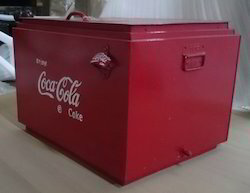 We are offering this trunk in customized options as per customers demand. 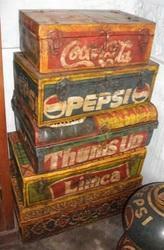 We feel proud to provide our esteemed clients with an exclusive range of Vintage Iron Trunk. 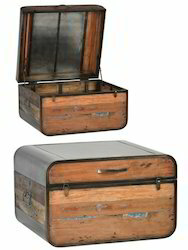 Our offered trunk is demanded among customers owing to its modern look & enhanced durability. 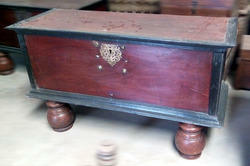 This trunk is provided with customized options as per the need of patrons. The trunk offered by us is checked on numerous provisions of quality for supplying flawless range. 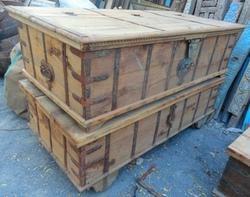 Offered trunk is easily availed from us within given time period at reasonable price. 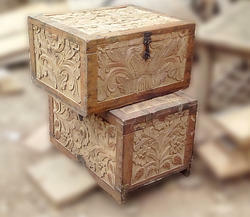 By keeping the track of the latest market trend, we are engaged in offering Carved Wooden Trunk. 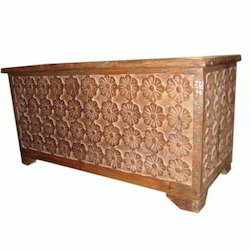 This trunk is manufactured utilizing optimum quality material keeping in mind the set standards. 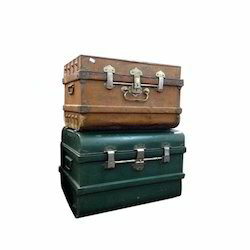 Our offered trunk is acknowledged for the sophisticated design and durability. 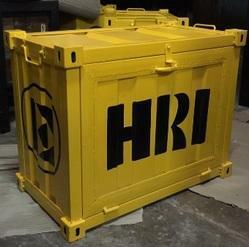 The given trunk is available in numerous specifications as per the requirements of customers. 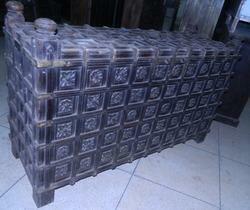 Wooden Carved Blanket Box from INDIA. We are capable to offer our valued customers, Reclaimed Wooden pieces in traditional, contemporary and made to order designs with utmost precision. 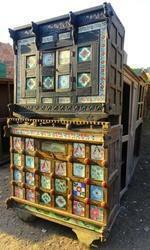 The wood used is reclaimed wood from old pieces with original color on them. In addition to this, our products undergo supervision of quality controllers in our experienced team, in order to ensure their flawlessness. Clients can avail the entire range from us at best prices in the industry. As natural as it can be. 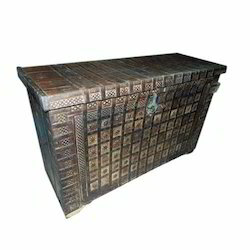 With our spacious experience and knowledge, we are engaged in offering a wide range of Old Design Pitara Trunk with Brass and iron fittings to our esteemed clients reminding of old days. Our offered range is available in various shapes & designs as per clients’ requirements. 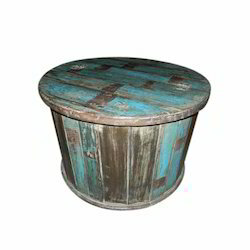 Table style Round storage trunk in Reclaimed wood offered by ALPA CORP from INDIA. We are capable to offer our valued customers, Reclaimed Wooden pieces in traditional, contemporary and made to order designs with utmost precision. 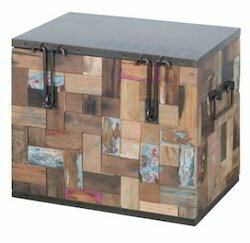 The wood used is reclaimed wood from old pieces with original color on them. In addition to this, our products undergo supervision of quality controllers in our experienced team, in order to ensure their flawlessness. Clients can avail the entire range from us at best prices in the industry. 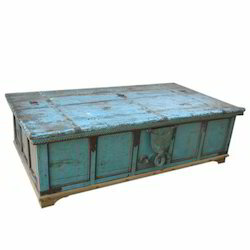 Wooden Box Turquoise with carved borders made in Reclaimed wood from INDIA. We are capable to offer our valued customers, Reclaimed Wooden pieces in traditional, contemporary and made to order designs with utmost precision. 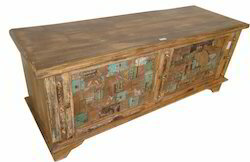 The wood used is reclaimed wood from old pieces with original color on them. In addition to this, our products undergo supervision of quality controllers in our experienced team, in order to ensure their flawlessness. Clients can avail the entire range from us at best prices in the industry. 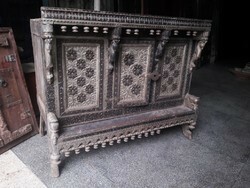 Vintage Teak wood trunk - quantity available. 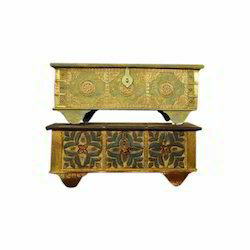 With precious understanding of the relevant industry, we are counted as the top most exporter and supplier of Vintage Blanket Box. Our product perfectly to match interiors and reflect a perfect match to them. Offered product is well known among customers for its durability & design. The given product is checked on numerous parameters in order to deliver a flawless range. Customers can purchase this product from us at market rates. 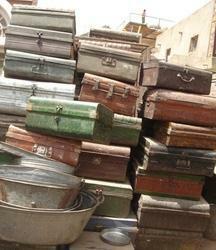 Looking for Trunk & Box ?